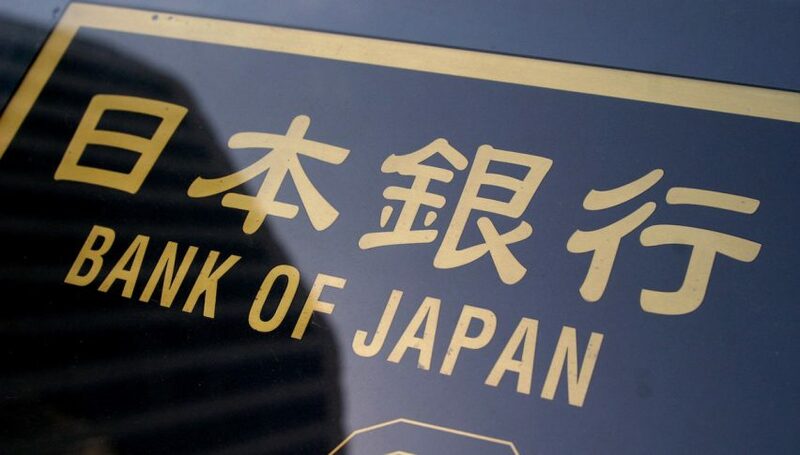 The market sentiment has been the driver for USD/JPY, as it is the case with most safe haven assets. Yesterday, the sentiment was pretty bad as Italian government officials sounded pretty certain regarding the budget deficit which will be at around 2.4% for next year’s budget. As a result, safe haven assets found some very strong bids. Gold was the main safe have asset to lead the way for the pack. Gold surged for nearly $20 yesterday, jumping from $1,190 to below $1,210. EUR/CHF lost around 80 pips during the European session, although it recuperated most of the losses in the US session as market sentiment improved somewhat. USD/JPY also dived lower. This forex pair lost 50 pips despite the USD advancing against most major currencies. It had some difficulty trying to break below the 50 SMA (yellow) but it did eventually. The sellers pushed the price further down and they tried to break below the 100 SMA (green). 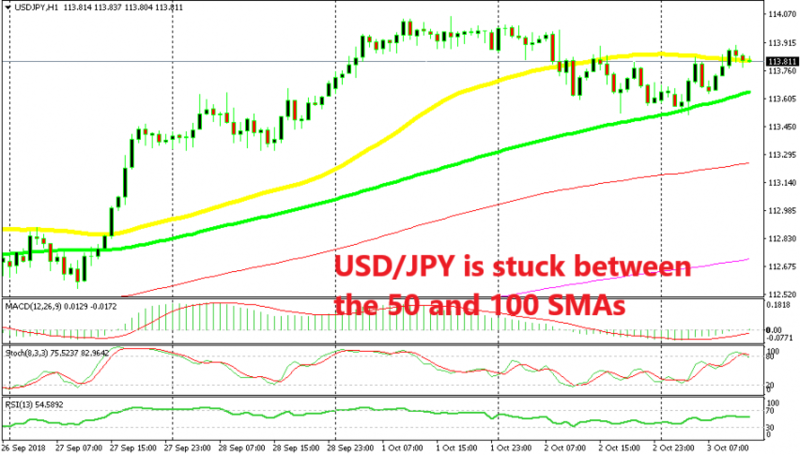 But USD/JPY found solid support at the 100 SMA yesterday in the evening and again early this morning during the Asian session. After the failure to break the 100 SMA, the buyers took things in their hands and they have been pushing higher since then. But, they are also having trouble breaking the 50 SMA, this time to the upside. They failed once but they are trying again right now, so it seems like the pressure is on the upside now. Although, I won’t try to buy this pair now. I would like to see USD/JPY make a retrace lower near the 100 SMA (green) and then go long from there if the sellers show signs of weakness. Like am having fun with all of this, ve been working on your forex course on the website and like this leading into a path please help me if you can just started learning forex using your Learn Forex link but still on the chapters-4.